This week, I had four days of class. Three of them followed an eight-hour work day. This program is certainly not for the faint of heart. We’re only supposed to have classes on Tuesday and Thursday nights from 6-8, and Friday from 1-4, but we had an extra class Wednesday night from 5:30 -8. The good thing is that we will have one week with only two classes. To be honest, it wasn’t even that bad. Luckily I really like what I’m doing. I also think it’s great that I can still relax when I get home. I’ve been able to train for the 5K and watch lots of movies to unwind. Movies and The Tudors are my stress-relievers! Yesterday, some people from my office came in to class. Everyone seemed to like them, and they taught me a lot – amazing, since I work with them every day! My office is full of people I really respect and hope to one day actually work for. They challenge me and I have learned so much as a result. 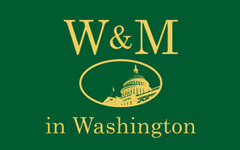 The best part about the program is the people you meet in your internship, the people you meet in the W&M in DC Office, and the people you do the program with. I’ve learned a lot about being on my own, and networking and prioritizing. I’ve applied the skills I’ve learned in high school and college in the real world. It’s a great feeling. As for the weekend, I am relaxing for the first time since I’ve been in Crystal City. Yesterday I got team shirts and bibs for the 5K, and came home. I spent most of the night in bed, watching movies, because I didn’t want to wear myself out. This morning, I woke up and ate a small breakfast before I headed to Federal Triangle for the 5K. I met Roxane’s husband, and Dalton’s friend, and then started the run. My time certainly wasn’t unbelievable, but I was happy. I made it in 28:55, but the timer was set off either before or after I left, so apparently I made it in either 27:25 or 30:25. Either way, not bad…but if it’s the latter, I didn’t make my goal of under a half an hour. I will have to check later tonight when they post the results. Being as it was my first run, and I had about 10 days to train, I’m satisfied. After the race, I met the rest of the group by the Washington Monument, and Roxane drove Megan, Heather and I home. She and Morgan really find great ways for us to explore the city and challenge ourselves. I never would have done the race without them! I can’t thank them enough! I just woke up from a nap, and I’m about to start working on our big research project. We have to write a 15-20 page paper on some aspect of post-conflict reconstruction. I am struggling with my topic. What I would really like to explore would take me much more than 15-20 pages, so I’m in a paring-down phase. I guess that’s better than a no-topic phase! Still…I’d like to have a thesis done by tonight, because I am supposed to get groceries, do some laundry, read for the week, and see Mike tomorrow! If all else fails, I’ll just skip everything else and see Mike. I miss my W&M friends! !